Pago is an intimate, farm-to-table restaurant in Salt Lake City, serving elevated American cuisine in a casual fine-dining environment. We also have an extensive wine list, featuring unique and exceptional wines from around the world. The word "Pago" is derived from the Castilian Spanish word for a single vineyard. In 2003, Spain created the Denominación de Pago (DO Pago) or Vino de Pago (VP) designation for exceptional Spanish wine grown outside of the traditional growing regions, using grapes exclusively from their own estate. Like our namesake, Pago strives to create an exceptional dining experience outside of recognized dining destinations while focusing on local artisan producers in our region. We offer seasonal, new American cuisine, with an ever-changing menu to reflect the best seasonal ingredients we can find from local providers. The high quality food and service comes without the formal or stuffy atmosphere -- no white linens or jackets-required here, just top-notch service from friendly, knowledgeable servers. With less than a dozen tables tucked into the small dining area, and a extra half-dozen tables on the patio during warmer months, dining at Pago feels both urban and intimate. Located in the Woodman Building (built in 1910), in the charming 9th and 9th neighborhood, Pago is just minutes away from downtown Salt Lake City. We believe the closer we are to the farm, the fresher the food, so we serve quality and organic products from local farms and local artisans. This means menus and specials that change with the seasons, featuring the best items we can find at any time of the year. 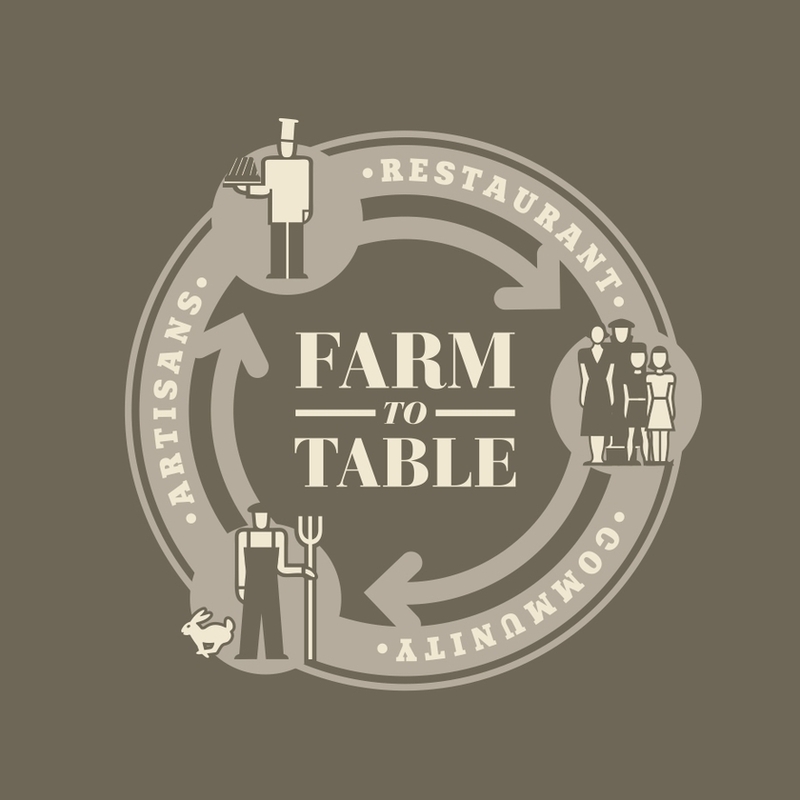 "Farm to Table" is a trendy concept these days, with many restaurants claiming to use farm to table and local ingredients. We try to uphold this concept fully -- meaning we do not simply source a handful of items from a local (or semi-local) producer when it's convenient, we aim for every item on our menu to be locally sourced, and often when the item is no longer available or in-season, we simply change our menu to offer something else that is. We purchase great local products from local farms and producers, like Beehive Cheese, Clifford Family Farms, Fog River Seafood, Montague Farms, Sweet Valley Organics, and Wasatch Meats. See our full list of partners here. In 2010, we broke ground on our own Pago micro-farm in Sugarhouse. With roughly 7,000 square feet, each year we grow a small variety of vegetables and herbs - like heirloom tomatoes, heirloom beets, kale, cilantro, and salad greens - exclusively for use at Pago and Finca (our sister restaurant). Nestled into a small space in the 9th and 9th mixed residential and retail neighborhood, Pago’s rustic + modern design reflects old world history with an updated touch. Pago used green-building techniques and recycled or original materials during the construction process, including original distressed brickwork throughout, a reclaimed wood (from Lehi Hospital) feature wall and tables with reclaimed industrial steel and eco-resin accents, "paper stone" (made from recycled office paper) counter tops on the bar, counter, and restrooms, and water wise toilets. The custom booths, shelving and metal work were crafted by the talented Clint Knecht of Blackridge Metal, who also managed the construction process from beginning to end. Part of our vision when we created Pago, was to create a business that proactively reduces waste and minimizes the impact on the environment, while staying connected to our community. Our ongoing paper products and glass recycling efforts, use of eco-friendly take away containers, and many community involvement activities are small ways that we practice this philosophy, and we look for ways to continue to expand in this area. Updated classics that vary with the seasons. Distinctive, hand-selected wine and beverage list. The menu offers an elevated interpretation of classic American fare from the freshest possible ingredients, many sourced from local family farms. The menu changes with the seasons to provide the very best produce at any given time. And we can customize many of the food or beverage menu items to meet your specific preferences or dietary needs. Our menu has included items such as locally sourced Niman Ranch flank steak with asparagus and fingerling potatoes and touches of ricotta and fried bone marrow paired with a glass of the Ruth Lewandowski 2012 Boaz (produced by Pago’s own sommelier, Evan Lewandowski), or carrots presented five different ways as a tasting appetizer with a glass of the 2010 L’Hereu Cava, or the famous “Pago Burger” – a mix of ground chuck, short rib and brisket in the succulent burger patty, topped high with artisanal bacon, Gruyere cheese, roasted mushrooms, pickled red onion and kale, on a toasted brioche bun slathered with black garlic aioli and Dijon vinaigrette – which has been written about at length in the local and national press. Our wine list is an ever-rotating selection with both classics and off-the-beaten-path selections, from all corners of the globe. One of our specialties is finding small production, sustainable wines, from unique areas -- many of which are special ordered just for us. Everyone on our team is knowledgeable about wine, and can offer suggestions for what to pair with your specific dish or find just the right wine to match your preferences. And if you dine during a time when our Pago sommelier, Evan Lewandaski, is on hand, you'll most definitely want to leverage his experience to find the right selection -- if only just to hear his exuberant stories about each and every wine on our list. We want to share our love of wine with you, and we've invested in the unique Cruvinet system to allow us to preserve and dispense the wine glass by glass, so you can sample a variety of different wines with your meal (in 3oz or 5oz pours), if that excites you too. We always ensure we have wines available at a variety of price points and the menu, so no one feels they can't enjoy a great glass of wine with their meal, and we also carry a great selection of beer, spirits and non-alcoholic beverages. We're a small, local, family-owned business focused on bringing great and unique food to our fine Salt Lake City, Utah. No outside investors or corporate ownership here. We buy high-quality, sustainable ingredients largely from other local farms and businesses and have a fantastic front and back of house team that makes us shine. Born in Spain, Chef Phelix has been cooking for more than 20 years, after starting in the summer as a teenager. He worked his way up through many chain restaurants, and then landed a job with local Florida restaurant, Food Glorious Food, where he was mentored by the chef and learned to prepare creative, seasonal, American fine-dining cuisine. Along the way, he studied finance at Florida State University and attended culinary school at Keiser College. After moving to Salt Lake City, Chef Phelix held positions as the Chef de Cuisine at the Grand America Hotel, Executive Chef at the Wild Grape, Executive Chef for Pago Restaurant Group, and Chef for Stanza Italian Bistro and Current Fish and Oyster Bar, before moving back to Pago as Executive Chef/ Partner. Phelix’s approach to food includes using fresh, locally-sourced ingredients to create innovative interpretations of classic dishes or childhood food memories. Once you taste his food, I’m sure you’ll agree, he has a pretty good memory. Jameel has worked for some of the best known names in food and hospitality. After graduating from Arizona State University, he learned the fundamentals of business at Hyatt Hotels, where he was a graduate of the Hyatt Impact Service Training and received the service excellence award several times over. At Hyatt, he oversaw the restaurant, room service and banquet divisions. He later moved on to the Monterey Bay Aquarium where he oversaw food service operations and was involved in the world-renowned Seafood Watch program. After which, Jameel led the food and beverage program for the upscale, boutique Thompson Beverly Hills Hotel, and then the Director of Food and Beverage for the uber-hip and bohemian Ace Hotel & Swim Club, Palm Springs where he oversaw high-profile events like the “Coachella Weekend at Ace” during the Coachella Valley Music and Arts Festival which boasts 200,000+ attendees. Let's just say he knows a thing or two about the food and hospitality business, and we're thrilled to have him apply his expertise to our restaurant group. After 16 years of working in restaurants across the Wasatch Front, Scott Evans is the Founder and President of Pago Restaurant Group, which includes Pago, Finca, East Liberty Tap House, Hub & Spoke Diner, and Trestle Tavern. He spent the past ten years in restaurant management, at establishments ranging from neighborhood cafes to five diamond hotel restaurants. But his love of food started much earlier, and deepened during his time travelling during college -- backpacking, snowboarding, eating, and drinking his way around the world. He also developed a passion and commitment to finding the freshest, locally sourced ingredients possible and adapting the menu to highlight the best of each season. Before launching Pago in 2009, he spent 2.5 years as General Manager and Beverage Director for Squatters Pub Brewery. Prior to that time, he was the General Manager of The Depot, Food and Beverage Manager of the Glitretind and Troll Hallen Lounge at Stein Eriksen Lodge, Food and Beverage Manager of The Garden Cafe and Gibson Girl Lounge at the Grand America Hotel, and manager at both Sage's Cafe and Park Ivy. Scott has a Bachelor of Arts in Sociology and Master of Business Administration degrees from Westminster College.